Can you imagine a machine that can transform human waste into electricity and drinking water, all while running on power it generates itself? It may sound like something from a Ray Bradbury novel, but this machine, christened the Omniprocessor, is actually real. 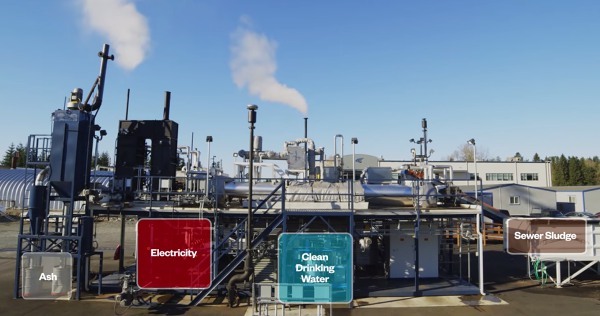 Bill Gates recently went on camera to show off the new machine, which was designed by the engineering firm Janicki Bioenergy with funding from Gates himself. While a machine that can turn waste into drinking water is cool just on principle, this technology has the potential to revolutionize access to clean drinking water throughout the developing world. The tragic reality is that 2 billion people around the world have no access to adequate sanitation. Many of these people don’t have access to any toilet facilities at all, forcing them to engage in open defecation that can have serious health consequences for the community. It’s estimated that contaminated drinking water sickens and kills a staggering 700,000 people worldwide. In fact, according to the CDC, diarrhea linked to unsafe drinking water kills more children under five each year than measles, malaria, and AIDS—combined. Unfortunately, processing waste is much more difficult in developing countries than it is in more industrialized countries around the world. Many nations lack the critical infrastructure that would make a large-scale waste management program possible. Many also face the additional burdens of military conflicts, governmental corruption, and resource scarcity, making the dream of clean drinking water seem impossible. So how does the Omniprocessor actually work? All it takes is a little bit of sewage “sludge.” Human waste is processed through a series of tubes known as the dryers, which boil the waste to remove any and all water vapor. That water vapor is distilled and processed through a state-of-the-art cleaning system, removing any impurities. The resulting water is as clean as what you’d find in brand-name bottles at your local Whole Foods. The sewage solids left over from the boiling process are fed into a very hot fire, which powers a steam engine that keeps the whole operation running. As a bonus, this machine creates more electricity than it can actually use, so whatever electricity is left over can be funneled back into the community. The ash created from the burned solids is also totally pathogen-free, making it perfect for agricultural uses. This design is simple, but powerful. At only 75 feet in length and 26 feet across, this baby can manage sewage from a community of 100,000 people. The Omniprocessor is much more than just the whim of a wealthy genius—it might just be the drinking water solution that actually works. While the machine can very well provide a basic human right to millions of people globally, its potential for success really boils down to collecting sufficient investment. What this machine really does is make sewage a valuable commodity. A private entrepreneur who installs such a machine will get paid for the waste that goes in, as well as the water, electricity, and ash that comes out. With the relatively low cost of purchasing such a machine—only $1.5 million USD—the Omniprocessor can truly be a win-win for both the entrepreneur and his or her community. 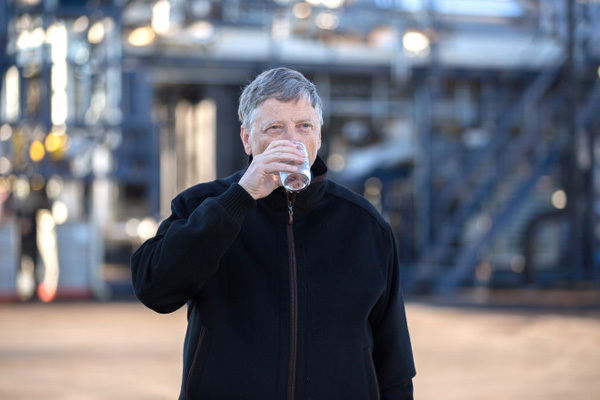 Check out the video below to watch this awesome machine in action, and see Bill Gates test the water himself!